Session 1 has been an awesome week and kicked off Momentum’s 20th Anniversary year in style – new features, inspiring coaches and amazing snow conditions ensured this week was a blast. 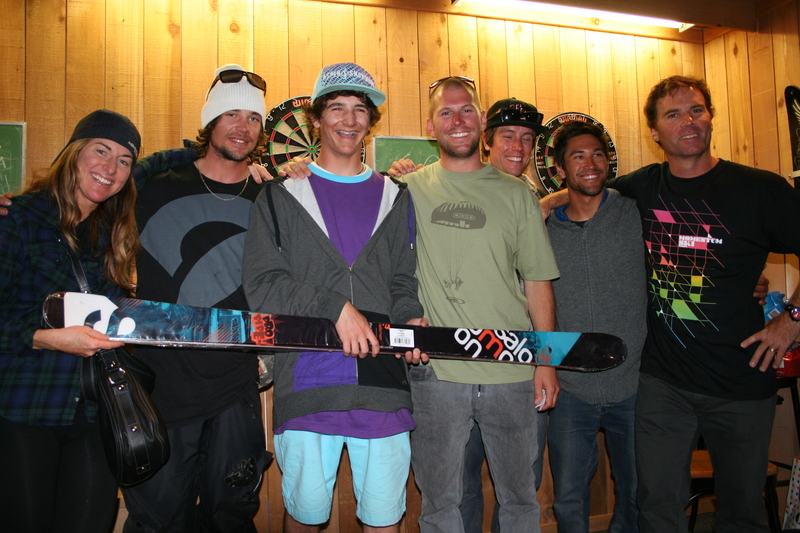 International Superpipe builder Tyson Goodrich has completed his masterpiece sculpture at Momentum Ski Camps. 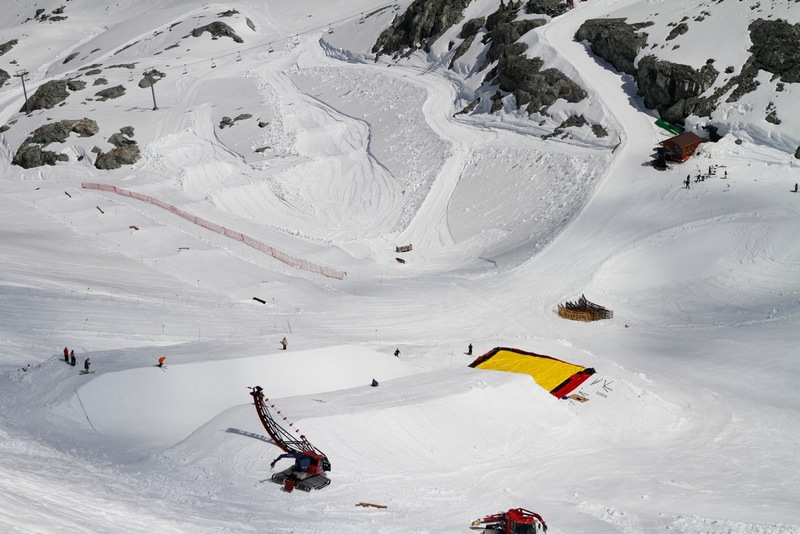 ‘The 22’ Halfpipe into BagJump’s 50×50 Airbag’. It will be the training ground for The Canadian Halfpipe Team (Justin Dorey, Mike Riddle, Sarah Burke, Roz G, Matt Margetts, Trennon Paynter) and since this team happens to be part of our coaching crew will be the perfect setting to teach the new generation of aspiring Olympians. 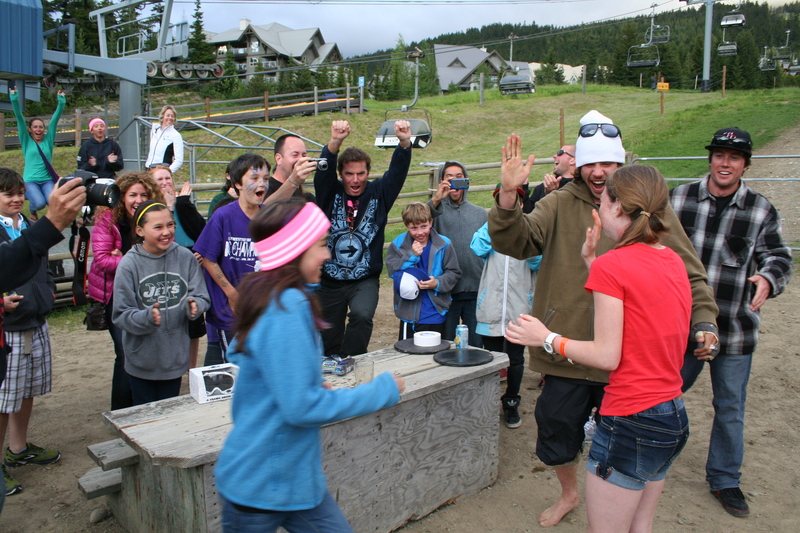 Coaches Rory Bushfield, Tim Russell, James “Woodsy” Woods, Colby James West, Chris Wong, Andrew Clough, and Tami Bradley kept energy levels high and inspired campers young and old to push their limits and reach their goals. Skullcandy and Momentum have just confirmed they are collaborating on a new Stairset feature, to be installed this weekend. This will be no ordinary staircase! stay tuned for the latest images. Session 2 just started so stay tuned for images and updates starting tomorrow, where X-Games and World Champions Alex Schloppy and Simon Dumont will be joining the coaching crew – watch for details in our next update. Our 20 Candles Contests are still kicking strong: With Schlopy’s Session 2 arrival, we’re going to have a little Facebook fun! Alex Schlopy and Momentum are going to play a game called Schlopy Says (aka Simon Says) and the first person to respond correctly will be entered into a draw to Win a Signed pair of Oakley Splices!!! There will be 10 “Schlopy Says” posts made on facebook over the course of the next 2 weeks, so stay tuned! There will be one winner per post, and you can only win once. Therefore we will have (10) unique people in the draw.